Against the breathtaking backdrop of Atlantic marina and lush jungle stands a city gridlocked in the midst of a 48-hour bus driver strike. Rio de Janeiro’s crucible has heated as the infiltration of the first world continues to disturb the identity, demographics and delicate balance of the city’s communities. This bus drivers’ strike, the second in less than a week, is another attempt for dissatisfied government employees to make their voices heard. Just last month, 39 deaths were reported in the state of Bahia following a 48-hour police strike that left the city of Salvador in absolute chaos. As many of the locals fight for preservation of the Carioca culture, opportunistic entrepreneurs seek renovation and reconstruction in the city’s economically poor but geographically rich areas. Just last month, David Beckham bought a mansion in the chic favela of Vidigal for more than a million U.S. dollars. 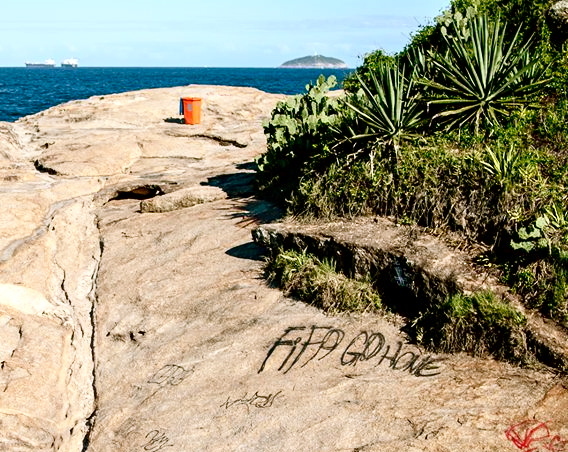 Gentrified through government pacification, Vidigal –once a vibrant home for thousands of lower class Cariocas – now runs the risk of being bulldozed into an exclusive community for the wealthy. Just 30 years ago, Brazilians endured great unrest under a 21-year militaristic republic. Yet, because Brazil’s new government has made unimaginable strides in such short order, it’s easy to forget that this country’s steep trajectory is still in its infancy. Rich in natural resources and largely unscathed by the 2008 recession that shook the world, Brazil is projected to be one of the world’s highest grossing nations by the year 2040 – nearly doubling the United Kingdom’s GDP by 2050. However, before Brazilians can comfortably imagine economic prosperity for future generations, they must first acclimate to the idea of stability in the present. The concept of a secure economy is still so new that Brazilians can’t yet believe it to be guaranteed. After all, the top young engineers and doctors in Rio today were born at a time when inflation surpassed 1000 (with four zeros) percent annually – fluctuating more than a percentage point or two daily. As recently as twenty years ago – just before the modern Brazilian Real was introduced to the country – Brazilians walked around with their checkbooks because the currency values changed so drastically by the day. A substantial middle class has arisen in Rio de Janeiro, a result of the stabilized economy. A bus ride through Rio’s South Zone, where the blocks are filled with Nike stores and Starbucks, might cause you to think you are in a wealthy European city. On the surface, this emerging middle class makes Rio appear more livable. In actuality, the influx of money has made the city more complicated. Rio was never built to accommodate the six million people who inhabit the space. Until very recently, the economic demographics enabled only the wealthiest to own cars. With the expansion of the middle class, significantly more vehicles on the road have created intolerable traffic jams that dwarf those of Los Angeles or New York City. Meanwhile, unprecedented traffic in Sao Paulo has made Brazil’s largest city the helicopter capital of the world. On a typical workday, thousands of the wealthiest businessmen commute through the sky in an effort to avoid congestion that regularly extends 50 miles long. Lacking highways throughout much of the most densely populated regions of the country, infrastructure remains far behind first world standards. On rainy days traffic crawls and walking will likely get you farther faster than the bus. 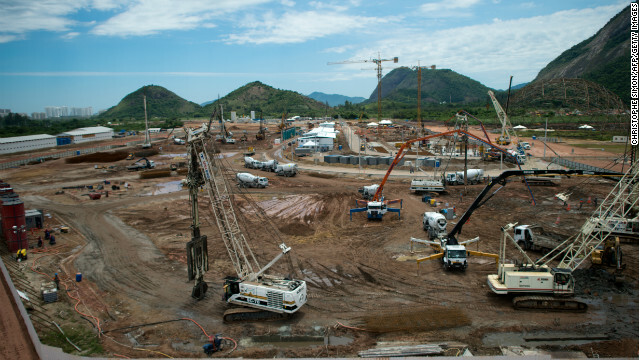 Construction for the 2016 Olympics is far behind schedule. There are only seven total car lanes that connect Rio de Janeiro’s South Zone (best known for residential neighborhoods like Copacabana and Ipanema) to Barra de Tijuca – the newer part of the city that will host most Olympic events in 2016. If just one of these lanes is blocked by an accident, it can literally take four hours to commute just over 10 miles. Undoubtedly, some progress with transportation will be made for the Olympics. Two metro stations currently under construction will extend the South Zone to Barra. Still, earlier this month, International Olympic Committee Vice President John Coates called Rio’s preparation for the 2016 Olympics the worst he has ever seen. Whispers about the possibility of London re-hosting the Olympics in lieu of Rio have been heard – a rumor Coates has denied. Meanwhile, money that could have been used to revamp the antiquated infrastructure – or provide food, health care and education for the sixteen million Brazilians living in what is considered “extreme poverty” – is being spent on preparations for sporting events. Nearly a billion dollars will be spent on stadiums in regions of the country that do not even boast professional soccer teams in Brazil’s first division. Three cities – Brasilia, Manaus and Cuiaba –will host nothing more than the equivalent of Double-A soccer clubs following the World Cup. With fervent protests about expensive maintenance fees for residents of Cape Town calling for the demolition of Green Point Stadium, host to a semi-final match during the 2010 World Cup, Brazil’s investments in these smaller cities appear shortsighted at best. In a vacuum, looking at Brazil’s projections and future development, it would be easy to feel unprecedented optimism for the country’s future. After all, Brazil’s prosperity means that unemployment, which has already declined from thirteen percent in the early 2000s to five percent today, will continue to improve. However, very few young and educated Brazilians share faith in the country’s promising future that economists predict. There is little support for Brazil’s economic plan, especially involving the World Cup and Olympics. While Brazil’s World Cup bid initially exceeded an 80-percent approval rating, enthusiasm has waned so low that people now refer to the World Cup as an inevitable failure. Even worse, some of the disenchanted from the lower classes consider it their responsibility to make sure the World Cup fails in order to spite the government for its superfluous spending. As $3.5 billion continues to funnel toward soccer stadium construction in the latest Forbes estimate, the minimum wage in Rio de Janeiro is just over 10 U.S. dollars a day. And so, this World Cup — once predicted to unify the Brazilian people with pride — may be better remembered as an event that brought the people together through distress and protest. Last summer’s rallies, coinciding with Brazil’s surprising victory at the Confederations Cup, gave the people unprecedented world coverage. With the world tuning toward Brazil, the once voiceless impoverished were given a microphone. The protests in Brazil, while often portrayed through the media as spontaneous acts of combustion from an overly aggressive population, are actually meticulously planned through social media for weeks in advance. Last summer, when the government announced an eight percent bus fare increase, Brazilians discovered the power of social media and took a stand. Twitter and Facebook were used to organize protests. The account AnonymousBrasil, notorious for its anarchistic motives, gained more than one million followers in weeks. Social media became an effective method for organizers to invite protest throughout the city without government suppression. Brazil sought the World Cup in order to make a statement. An announcement, so to speak, that the country was leaving the third world behind for good. Instead, internal lack of organization has exacerbated the country’s deficits and illuminated how far the country still has to go before it becomes a true world leader. Eight stadium construction workers have died as the rigid deadlines of the first soccer matches have forced the country to prioritize rapidity over safety. The most recent death occurred last week as a worker in Cuiaba was electrocuted as he installed arena communication equipment. Conversely, as Brazil struggles to meet deadlines, the government has ceded all leverage in construction negotiations. The stadiums have a public deadline for completion and contractors have named ransoms to stretch the Brazilian government’s pockets thin. With kick off fast approaching, what was initially an $800 million estimate to build the stadiums has nearly quintupled in a matter of six years. There is a tacit distrust between the people and the police that has grown in the past year. In many ways, civilians walk the streets with more fear of the police officers than anyone else. According to Amnesty International, Brazilian police kill about 2,000 people annually. 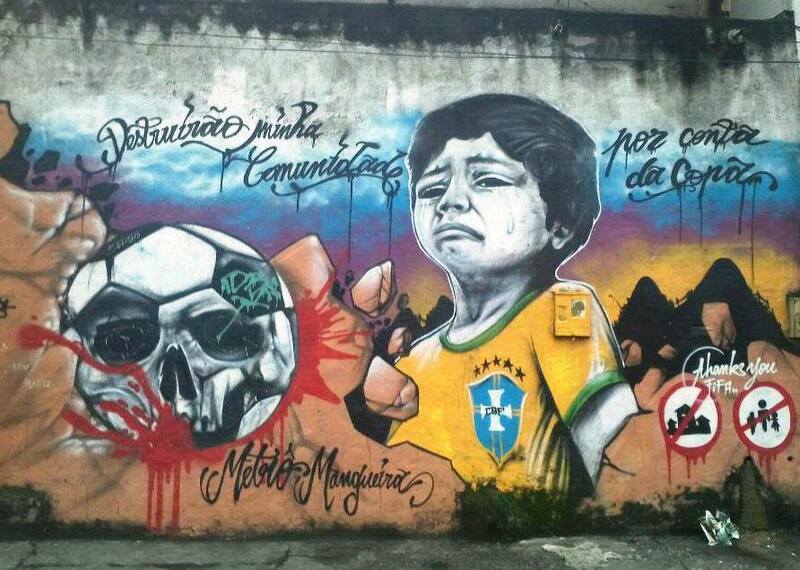 With at least one big protest on the horizon before the World Cup arrives, Brazil should anticipate several more black eyes in the global media before the first whistle is blown. So as Brazil waits, less than three weeks from its biggest moment on the world stage, no one knows how this premiere will go – how the World Cup will be welcomed once it finally arrives. For as troubled as the country’s past has been, and as promising as the country’s future may be, it is Brazil’s present that stares fearfully into an onslaught of headlights in oncoming traffic.